Social media has changed the landscape of communication for millions across the globe. The benefits that social networks can bring are plentiful and well documented, but the harm that many people have suffered through abusive or negative engagement with other users on these platforms can be troubling. 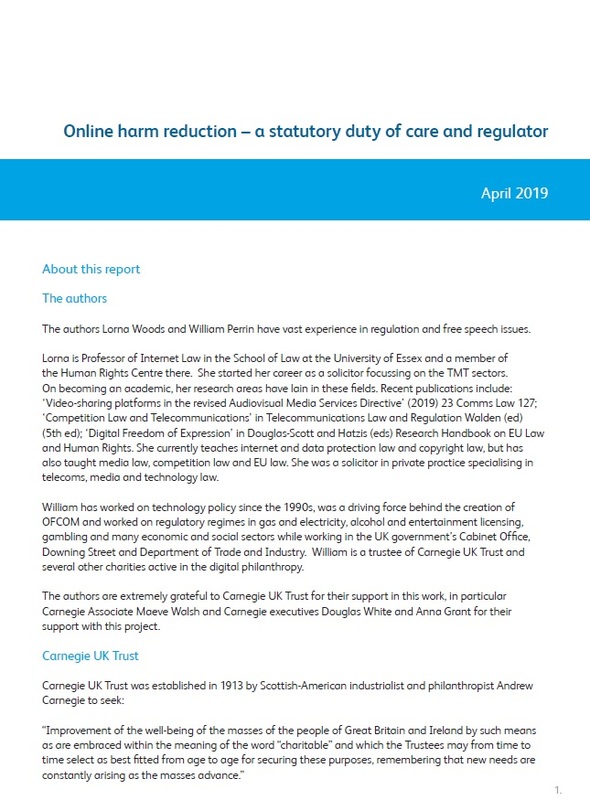 Professor Lorna Woods and William Perrin set out to describe a regulatory system for reducing harm from and on social media for UK users. Drawing on the well-established concepts and legislation, they propose a statutory duty of care backed by an independent regulator, with measuring, reporting and transparency obligations. This work seeks to most effectively balance the competing tensions of reducing harm, maintaining free speech, innovation, democratic oversight, corporate risk aversion and political intervention. 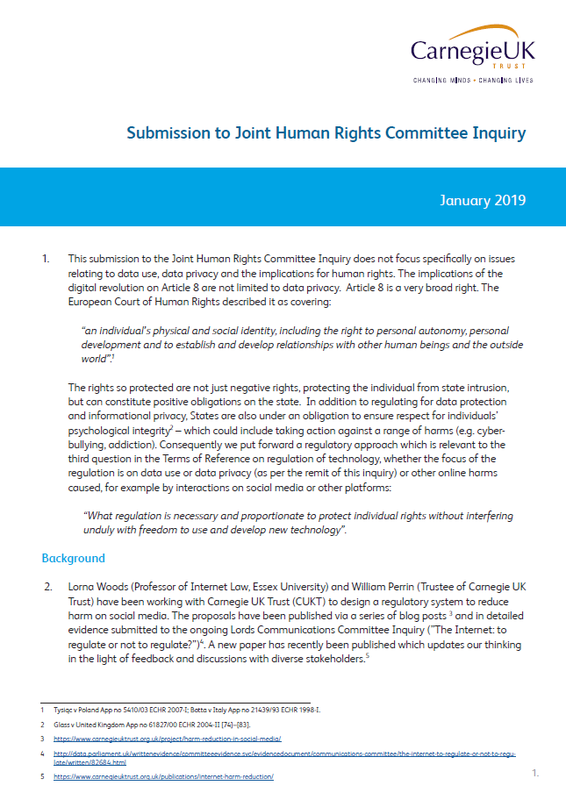 The updated proposal outlines a refined approach to the statutory duty of care model, which requires social media and other internet platforms to take reasonable steps to prevent foreseeable harm from arising to users. 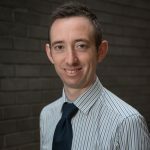 Following engagement with a range of stakeholders, the paper sets out new or revised thinking on a number of key aspects of the approach including: the scope of services subject to regulation, the nature of harms included, penalties and the interaction of the proposal with criminal law. In early 2018, we published a preliminary proposal across a series of detailed blogs, presenting the case for a system where legislation creates a statutory duty of care for the largest social networks towards their users, backed up by a regulator. Blog 1. The opening post puts forth the belief that society can rein in the harm on social media that negatively impacts what should and could be a great force for good. Blog 2. The second post outlines how a social media regulation regime could work in practice. Blog 3. In Europe there are many examples of effective regulation outside the digital and media sphere that limits harm to people, several examples are explored in this post. Blog 4. This post offers a non-technical overview discussion of ‘duty of care’ on the largest social media service providers to their users. Blog 5. To balance regulation and free speech, the view is to only regulate the largest or most harmful platforms. This post sets out how to choose which platforms to include. Blog 6. 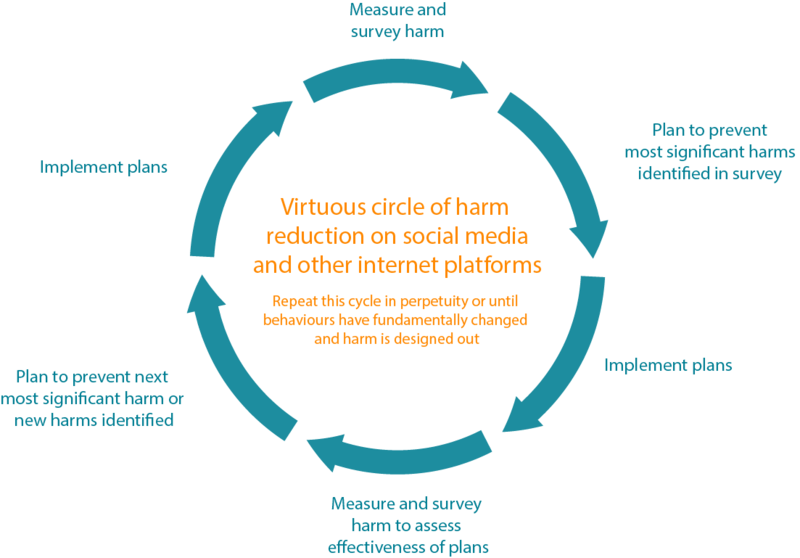 A key goal of this work is to enable a perpetual, transparent cycle of harm reduction. This post examines how practically a regulator would work on a risk-managed basis with companies, users, victims and civil society to create this cycle. Blog 7. The final post explores who would regulate the regime. 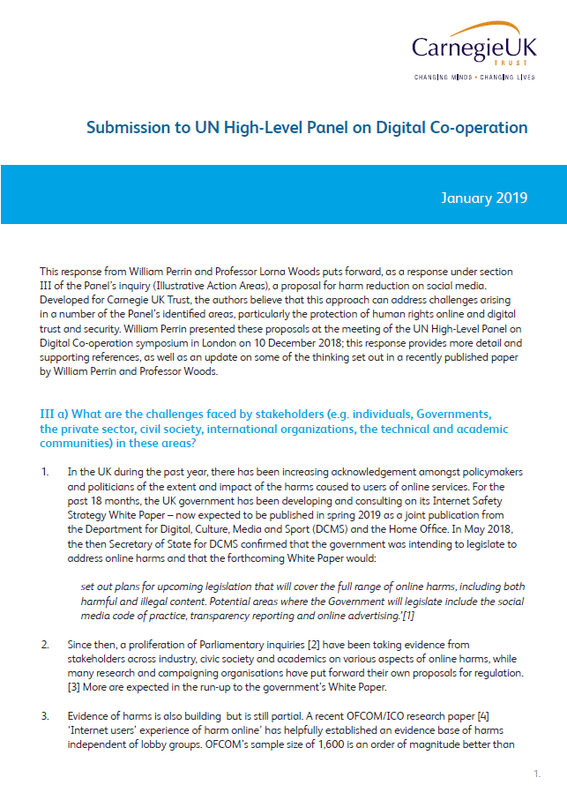 It includes a survey of the landscape and concludes OFCOM would be the optimal body, funded by a share of the internet revenue tax. Please see downloads for additional content. Prior to joining the Trust in 2016 Anna completed the marketing graduate scheme at Centrica with roles across multiple areas including partnerships, research and sales. After this she consulted for two London based start-ups, advising them on increasing their social impact. 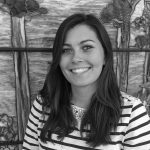 Anna has recently finished an MSc in Science and Technology in Society from the University of Edinburgh and has a BSc in Economics from the University of Southampton. During her time as an undergraduate Anna was highly involved in a worldwide social enterprise society, Enactus Southampton, which twice won the UK National competition. She continues to mentor teams across the UK. 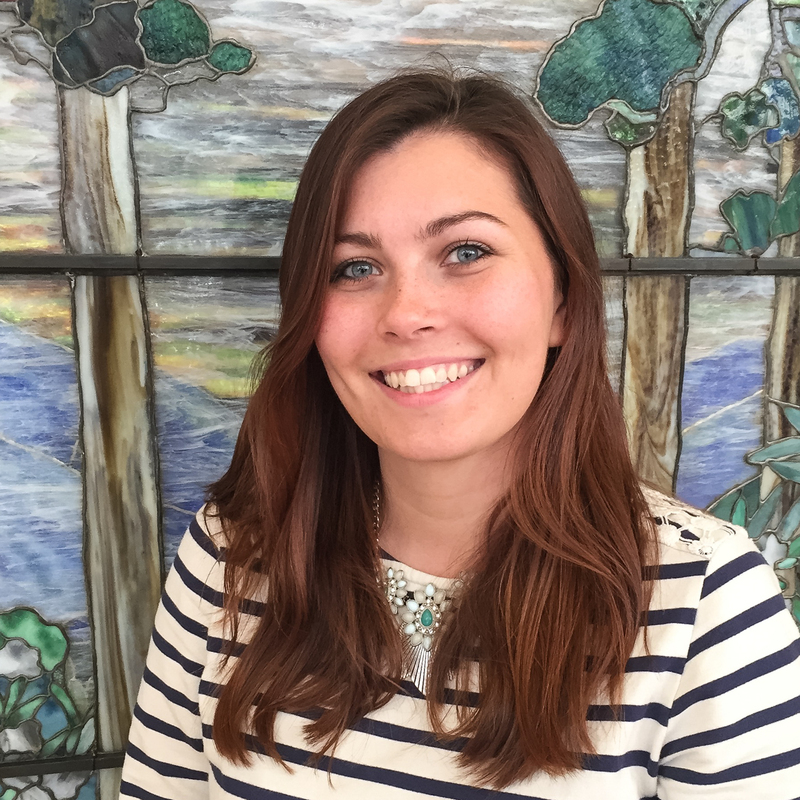 Anna is a big film fan and enjoys discovering new places in Edinburgh to enjoy a cup of tea. 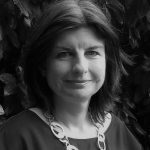 Maeve is a policy and strategy leader, with a background in communications, who has experience at the heart of the UK Government and in the not-for-profit sector. 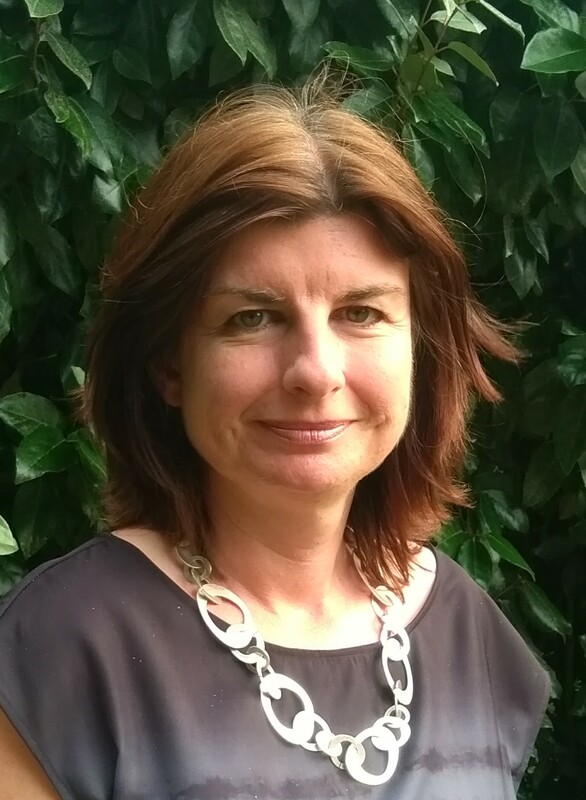 During a 17-year career in Whitehall, she held senior roles in central Departments including Cabinet Office, No10, the Department of Health and the Department for Digital, Culture, Media and Sport, where she led the team responsible for delivering the UK Digital Strategy. Most recently, she was Director of Policy at Corsham Institute, where she led programmes on digital trust, empowerment and data rights. 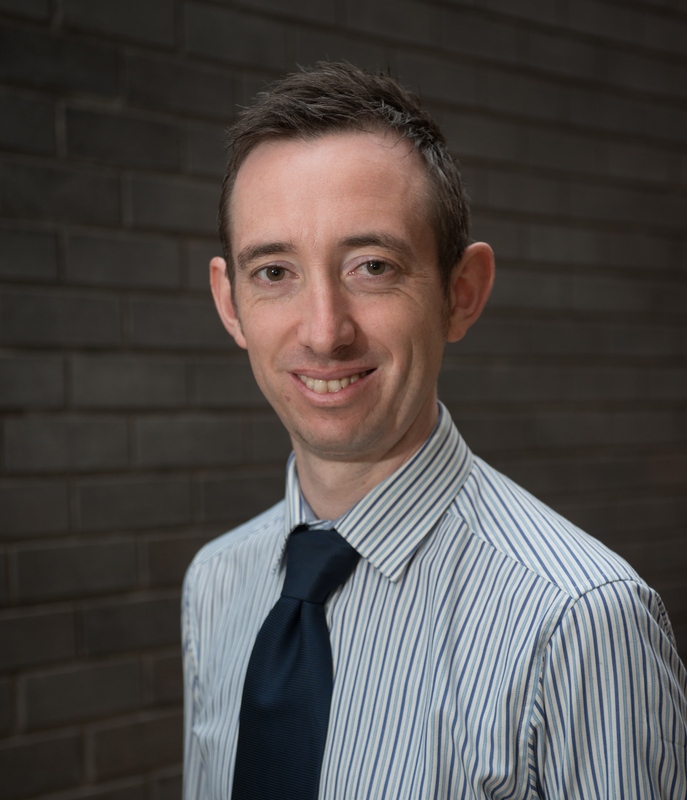 As a Carnegie UK Trust Associate, she is working with William Perrin and Professor Lorna Woods on the Harm Reduction in Social Media proposal. She is also an independent consultant and adviser on digital policy, strategy and government relations, a Fellow of the Royal Society of Arts and a parent-governor at her children’s primary school. Who should regulate to reduce harm in social media services? How would a social media harm regulator work? 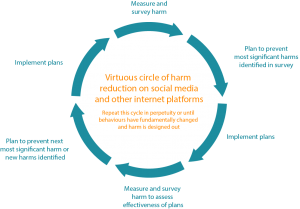 Which social media services should be regulated for harm reduction?